Traveling to Peru soon? What about including Bolivia in the plans? I know you gonna say that traveling through South America is too complicated, but what if I tell you that there is an easy and safe way to travel from country to country, at least from Peru to Bolivia? Bearing in mind the lack of good bus service running through South America, Bolivia Hop, alongside it’s older brother Peru Hop, promise to offer the very first Hop on Hop off bus service of the whole continent. What is this hop on hop off? Well, you know those Sightseeing buses you can find anywhere in Europe? 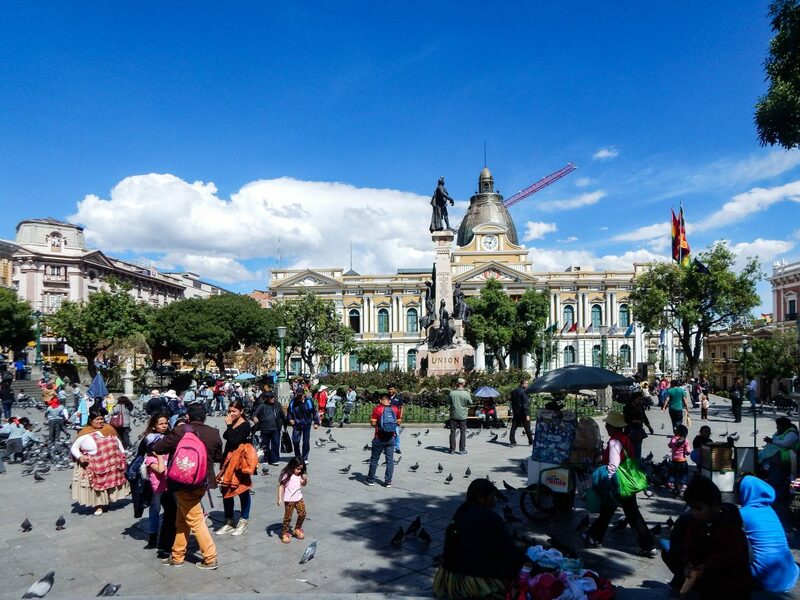 Bolivia Hop follows the same line, but instead of stopping at the tourist points in one city, it brings you from city to city, stopping in the main cities and important points along the way. Bolivia Hop covers all the way from La Paz, the Bolivian capital to the city of Cusco in Peru. At the moment, the cities covered in Bolivia are Copacabana, in the Titicaca lake and La Paz, located in the middle of the mountains. Besides the Bolivian side, Bolivia Hop also passes through Puno, on the Peruvian side of Lake Titicaca following the journey until Cusco, or even you can start you journey in La Paz and make all your way up to Lima. Bolivia Hop offers different day trips from Laz Paz. If you are in Bolivia but don’t have much time to make your way to Cusco or Puno, you can take 1, or 2days trips to Copacabana to enjoy the sun in Lake Titicaca. 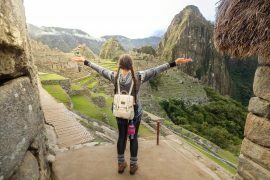 Just like Peru Hop, Bolivia Hop allows you to go full flexible in your trip. You choose how long you will stay in each place and what route you will take. There are also different cities where you can take the bus for your Bolivian trip, you can start it in La Paz, in Puno or in Cusco and by starting your trip in La Paz, you can choose if you want to take the short route, covering from La Paz to Lake Titicaca, or if you want to go until Cusco, or even until Lima, stopping in different Peruvian cities along the way. In your Hop Login, you can control exactly what day you want to arrive and leave each city as well as the place you will stay and in case you decide to stay a bit longer in one city, you can update the information on your Hop Login at least one day before. You can pick another date to leave or even let your stay on hold if you are not sure of when you will leave. To give you, even more, comfort, Bolivia Hop crew picks you up and drops you out right in front of your hotel or hostel, so you don’t need to worry about running to the bus station or to a meet point and finding your bus. We know that crossing borders can be complicated sometimes, but being a Bolivia Hopper you have the crew to help you during the immigration between Bolivia and Peru or vice versa. You can check all the documentation needed on their website and if you have any doubt you can always contact Bolivia Hop, and the guides will be always around to assist you with your documentation and immigration process in the frontier and to make sure you won’t pay unnecessary fees on the process. The company counts with two different buses for the trip between Bolivia and Peru, on the Peruvian side, there are luxury buses available, definitely the most comfortable buses you will find in Peru. 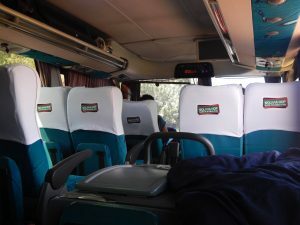 They offer 40 semi-bed seats, toilets, TVs, temperature controlled air system, etc, everything to make sure you will have total comfort in the journey, as these buses are used for the longest travels, like the trip from the border to Cusco. The buses on the Bolivian side are a smaller though, they offer 37 semi-bed seats, TVs but there are no toilets. 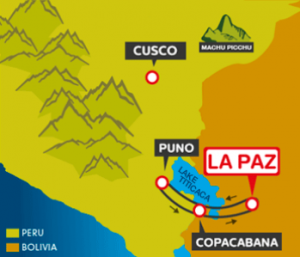 This is due to the weight restriction involved in crossing Lake Titicaca between Copacabana and La Paz. Arriving there you will notice that the buses cross the lake via ferry. In the moment of the crossing, all passengers must leave the bus and cross the lake via boat. Despite the fact of the buses being smaller on the Bolivian side, this won’t affect your trip much as it won’t take you more than 4 hours and a half to get to your final destination. Bolivia Hop counts with the great tour guides, they are all local people who really know and love their country. Their motivation and good vibes really inspire us along the way! 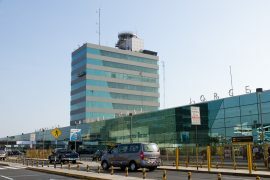 Just like Peru Hop, their organization is impressive, a proof of the hard work of the tour guides, drivers and staff behind the scenes, doing their best to make sure everything goes as smooth as possible for all their passengers. During our trip from Copacabana to La Paz, our guide, Alejandro, even bought us popcorn to eat while we watched movies! Your Hop Tickets are not limited to giving you an advantage on the road trip, with them you also get a lot of discounts on the way. 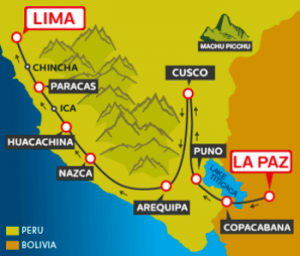 In both, Bolivian and Peruvian sides you can get discounts in hotels and hostels (note: in any city of the route but La Paz and Cusco). Besides that, you also get discounts on tours. If you show up in the La Paz office you can buy many different tours for activities in Bolivia, like the Salt Flat, Death Road or tours in lake Titicaca with good discounts. Bolivia Hop is an amazing way to get through Bolivia in a safe and comfortable way, besides that, it gives you the opportunity to visit two countries in the same trip, so you can make the most of your travel. 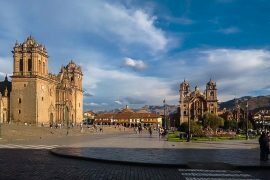 Different from other tourist buses or public buses, with Bolivia Hop you can feel totally independent and build your travel the way you want, traveling on your own pace and without worrying about going to the bus station and running after your bus. Besides all the experiences you will have, visiting amazing cities and points along the way, you will have a chance to meet a lot of people from all over the world that will be traveling with you on the bus. All this will make your trip through Bolivia unforgettable. I would love to visit one day, Bolivia looks so beautiful. This sounds amazing! What a great idea for those of us that don’t feel comfortable driving. I will definitely keep this in mind. That’s for sharing!! This sounds fantastic! I traveled to Bolivia with the World Vision Blogger Team in 2011. We spent a day in La Paz and I loved it! It is definitely worth the trip for anyone traveling to that part of the world. I’ve never even considered Bolivia as the perfect vacation spot, but it sounds lovely! Very cool I wish I had known about this when I was in Puno. I kept considering taking the bus trip to La Paz while I was there cause I wasnt enjoying Puno very much. If I had known about the Bolivia Hop I would have definitely went. What a great looking coach and convenient too. I’m thinking about visiting Bolivia in the next few months. This is an awesome idea! Interesting, would include Bolivia in my bucketlist, seemms like an amazing experience. 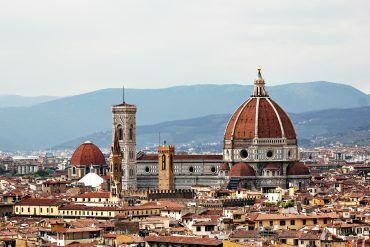 Seems like a good tour company! I love that they provided you with popcorn and movie options! 🙂 I would love to visit Bolivia someday!